Magical Full Moon In Pisces On September 6th - Spiritualizing Matter To Fulfill Our Mission! 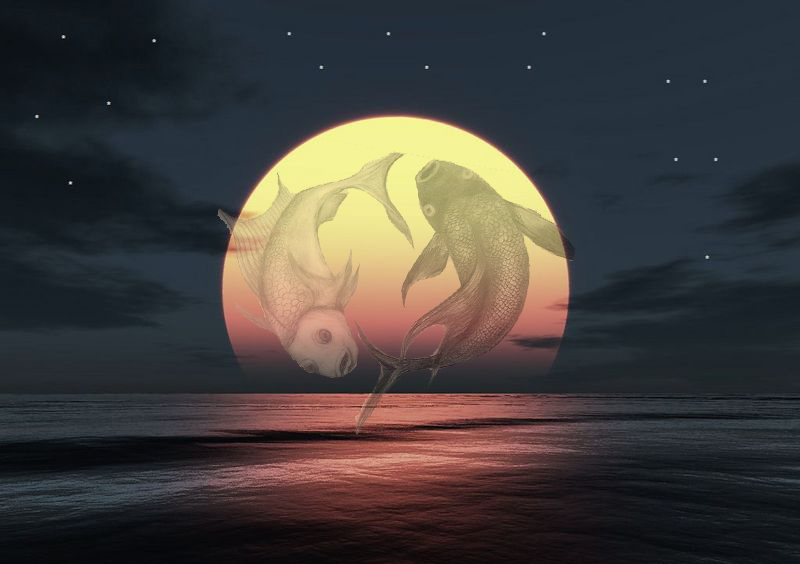 Magical Full Moon In Pisces On September 6th – Spiritualizing Matter To Fulfill Our Mission! 1This Full Moon falls in Pisces on September 6. 3This full moon is really interesting because the sun that illuminates it, is in the sign of the Virgo and in the Pisces House (Neptune's home) while the Moon shining through the Light of the Sun is found in the Pisces sign in the Virgo's house. In short they host each other in their own homes. 4How does the mind act to keep the Spirit under control? This Full Moon falls in Pisces on September 6. The eclipse of August 21, has affected deeply the majority of signs and will continue to do so for 2 to 3 years. Therefore, this full moon does not fully show the fruits of last moon, as it usually happens in every lunar cycle. In short, it does not mature after two weeks, but will show at least the next step to arrive at maturation each of us is called to. Every planet facing at 28° the sign of the Leo where the eclipse took place, (especially in conjunction) will further activate its effect. On, September 2, those degrees have been activated by Mars and Mercury Retrograde in conjunction with each other, so old mental dynamics will be shown, dynamics related to fear and limiting beliefs that might have been covered up by a mask of arrogance. On September 5th, while Mars and Mercury are still joined in the sign of the Leo and connected to the North Lunar Knot, the Moon is in opposition to the degrees of eclipse, in the Aquarius sign and joined to the Southern Lunar Knot. Therefor to Karma, to the past. 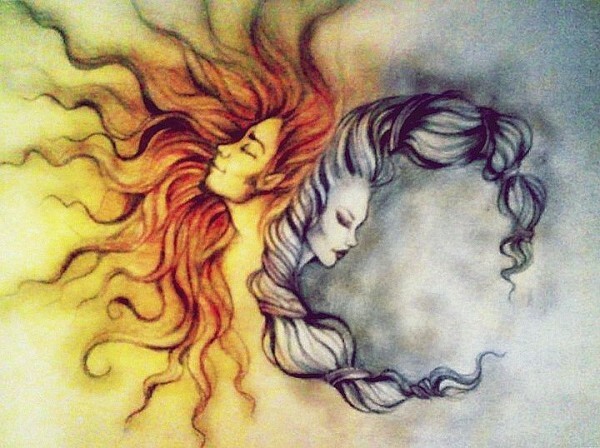 The eclipse is reactivated, pushing us towards an evolving way to give the best of ourselves. It is always good to consider that every planetary vibration always has two facets, so the evolutionary one to which we are all called by Mars and Mercury is to look with courage (Mars) all the masks that our ego has worn to hide our fears born from old mental conditioning (Mercury). Having courage means being honest with yourself all the way! or I respond to the courage of Mars and recognize my individuality as a human being who has surrendered to the need of approvals, attention and acknowledgment. In short, I’m out of reality or I recognize it. The choice is always ours! Planets are never responsible for our lives, so it is useless to take it with Saturn or with any other transit. Every planetary configuration that is in the birth or transit theme is about to activate something because we are ready to face it. That is why I urge you to carefully observe all your thoughts and above all, your emotional reaction towards those thoughts. Are you falling into habit, or are you going to face it all in a new and different way? We need to break the schemes if we want anything to change. We are constantly called to awaken and realize that we are conscious. Old mental dynamics linked to ancient collective beliefs (and for ancient karmic intentions), are reactivated in order to be seen by us! Do not fall in the temptation to be sucked in by our own emotions and habits. Be always alert! Let us therefore pay attention to this full moon in Pisces, particularly magical and dreaming, mystical and elusive, thanks also to the influence of Neptune Retrograde, with whom it comes into contact through a conjunction. Neptune in the Pisces sign is extremely powerful, he is at his home! This combination recalls the awakening of consciousness in each of us, but could also trigger an escape. This full moon is really interesting because the sun that illuminates it, is in the sign of the Virgo and in the Pisces House (Neptune’s home) while the Moon shining through the Light of the Sun is found in the Pisces sign in the Virgo’s house. In short they host each other in their own homes. Let’s immediately understand the evolutionary call for that combination. The Virgo Sun in the twelfth house invites us to let it flow and lose control, to stop manipulating the events or trying to understand them before they happen. It invites us to trust the unknown, free falling into the arms of a spirit always ready to welcome us and give us directions. 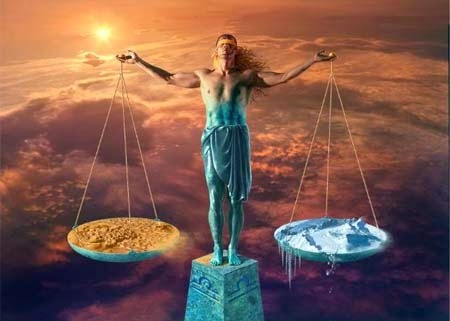 It is a very difficult undertaking for the sign of Virgo and everyone of us who is tightly connected to their minds. By linking this invitation to Last Lunacy (and with Solar Eclipse), we are invited to remember that we are in the middle or at the beginning of a great death and rebirth process where we are called to abandon any mask behind which we have hidden our fears. We must be ready to recognize them all, from hypocrisy to arrogance. From supremacy to pride. The Moon in Pisces, on the other hand, which is in the house of the Virgo, and therefore in the area of physical health and everyday life, invites us to incarnate the Spirit, to recognize our emotions and to make them flow into the body. We must materialize the Spirit in this dimension. In order to make this opposition work efficiently, we must first acknowledge that we are a Spirit that makes a human experience, and therefore we must not deny the human body and experience at all, we must rather honor this experience by allowing the Spirit to incarnate in this life in complete confidence. Only then, and not before, we can recognize and fulfill our mission! We must get to enjoy life and recognize it as a gift, but without losing ourselves in duality, judgment or illusion of the mind. If we stay connected, life is wonderful, anyway! But if we flee because we want to go home we are denying the gift of life. A disembodied soul, refusing human experience, and failing to become fully rooted in this body and in close contact with earthly energy, is likely to fall into the throne of one’s own emotions and minds, which will not miss the opportunity to hold it constantly under control. How does the mind act to keep the Spirit under control? With Fear, forcing us to always feel under attack, not understood, alienated from the world and always under accusation. This Moon that two days ago went to enlighten karma, wants to re-emerge the origin of human suffering, which brought us into wearing masks of arrogance and ego-centrism, that has led us to defend ourselves with aggression and power. We have therefore assumed the role of God, as Lucifer himself did in retention to his height, and we gave power to the mind, disconnecting us from the Spirit and completely losing confidence in life. It is the original separation that has created all human suffering in these millennia of history. It’s time to go home, but not to leave here! By returning home, I intend to connect with the source and then manifest it in life, where we are now! Look, therefore, what brings this full moon to maturity. Look at past days and situations that can be re-emerged in relation to others, but above all to yourself. But be careful and alert: You will have to make an important choice. Choose to continue defending yourself by attacking or masking your insecurity and fear focusing on the Southern Lunar Node, or accepting the Invitation of the Northern Lunar Node that encourages you to regain all your dignity and splendor without having to prove anything and without having to of any approval of others? Now everything always depends on us. Thank you so much I just added your beautiful article in my page readings and spells by mystic angel.